Nearly 30 young researchers from the prestigious University of Cambridge and over 90 participants from Warsaw academic centres attended a two day symposium at the Institute of Physical Chemistry of the Polish Academy of Sciences in Warsaw. The meeting ended with an unusual twist: Polish and British researchers went on a ski retreat together. During the past few years, Prof. Janusz Lewiński’s research team from the Institute of Physical Chemistry of the Polish Academy of Sciences (IPC PAS) in Warsaw has been collaborating on several research projects with groups in the Department of Chemistry at the University of Cambridge. The collaboration resulted in a visit in Warsaw of nearly 30 young British researchers from research groups headed by Professors: Oren Scherman, Dominic Wright, and Andrew Wheatley. 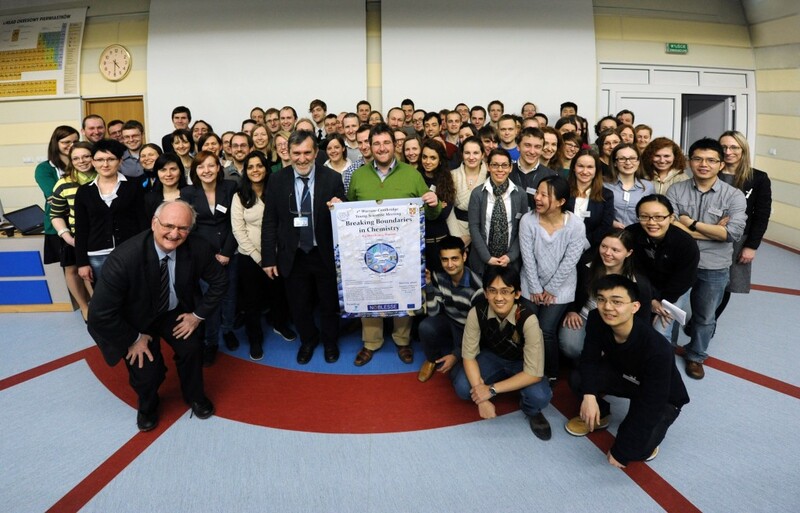 A two day symposium held at the IPC PAS last weekend (March 8-9, 2013) turned out to be only a prelude to a remarkably successful integration of the academic teams from both Warsaw and Cambridge. After closing the symposium in Warsaw, a group of 60 Polish and British researchers went skiing together in the Slovakian countryside. “The conference provided an excellent platform to discuss new and cutting-edge science, and reaffirmed just how important it is to integrate the next generation of European scientists. There were over 14 nationalities represented at the conference and all the presentations were outstanding. We are very excited to host the second conference in this series in Cambridge in the future!”, said Prof. Oren Scherman. “The visit in Warsaw of a such a large group of young researchers from one of the world’s most prestigious universities and a joint ski retreat combined with scientific activities, allow for integration of academic communities at Warsaw and Cambridge not only on the scientific level, but also on a purely human one. Such meetings are certain to bring about substantial benefits for both parties in the future”, stressed Prof. Lewiński. The conference last weekend in Warsaw provided an excellent platform for Masters and PhD students as well as postdocs from the University of Cambridge and the IPC PAS to discuss a wide variety of topics including chemistry of materials and nanotechnology, and more specifically included the synthesis of semiconductor nanoparticles and their functionalization for biomedical applications, polymer and macrocyclic host-guest self assembly, and the activation of small molecules. “In addition to 40 oral communications we also found time for a poster session and to show our guests around the state-of-the-art laboratories and the research equipment in our Institute”, remarked Katarzyna Wójcik, PhD Eng (IPC PAS), and she stressed that the meeting was open for the entire Warsaw academic community. 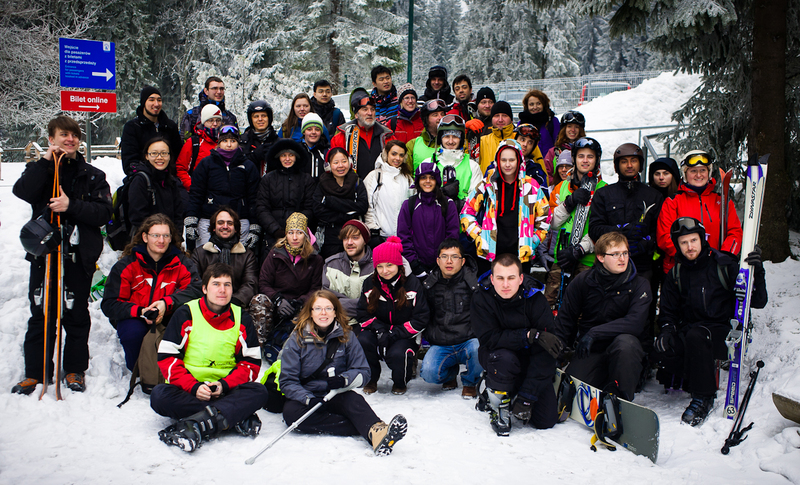 On Sunday the groups from Cambridge and Warsaw went skiing for a week in Zuberec, a well-known tourist resort in Slovakia. Chemistry discussions are still ongoing here: daily joint scientific sessions are an integral part of the retreat. “Until now we have been meeting exclusively on a professional basis. Now we have an opportunity not only to share our research experiences but also to build long-lasting friendships,” says Kamil Sokołowski, a PhD student at the IPC PAS. The event was organised as part of the NOBLESSE Project as the 1st Warsaw-Cambridge Young Scientists Meeting “Breaking Boundaries in Chemistry.” The unprecedented success of this conference and joint group retreat has ensured another next year and young researchers from both centres will meet for the 2nd meeting in the series in Cambridge, likely followed by another joint group retreat. The University of Cambridge is one of the world’s oldest and most renowned universities. It boasts of the largest number of Nobel Prize winners: the prestigious prize has been awarded to as many as 65 Cambridge graduates. The list of the present and past researchers affiliated with Cambridge includes well-known names, with physicist and cosmologist Stephen Hawking, Francis Crick and James Watson, discoverers of the DNA structure, Alan Turing, co-founder of computer science, Ernest Rutherford, discoverer of the structure of atomic nucleus, James Clerk Maxwell, author of the first unification of contemporary physics, Charles Darwin, founder of the theory of evolution, Isaac Newton, founder of classical mechanics, to mention a few only. The annual budget of the University of Cambridge is comparable with combined annual budgets of all Polish scientific institutions. The Institute of Physical Chemistry of the Polish Academy of Sciences belongs to the Academy’s Institutes with the highest visibility. Ranked among the top of Poland’s chemical research centres, the IPC PAS employs more than 200 researchers publishing yearly nearly 200 research papers in journals listed in the ISI Master Journal List. The IPC PAS maintains cooperation with more than 40 universities and research institutions from Poland and worldwide, including Germany’s Max- Planck-Institutes, France’s École Normale Supérieure, US Harvard University and UK’s University of Cambridge. The meeting of chemists from Warsaw and Cambridge was possible thanks to the NOBLESSE grant. The grant with a value over three million Euro is one of the largest grants awarded to a single Polish research institution under the activity “Research Potential” of the 7th European Union Framework Programme. The most important IPC PAS activities implemented currently under the grant include development of scientific contacts of the Institute with international research centres, organisation of international conferences and meetings and setting up new research teams headed by young researchers. At present, research topics pursued by these teams include quantum nanostructures, biospectroscopy, biosensors and green nanotechnology. The research covered by the grant is conducted with involvement of researchers from over a dozen European countries.